BELEN, N.M. (WLS) -- You don't have to be big to be a hero. 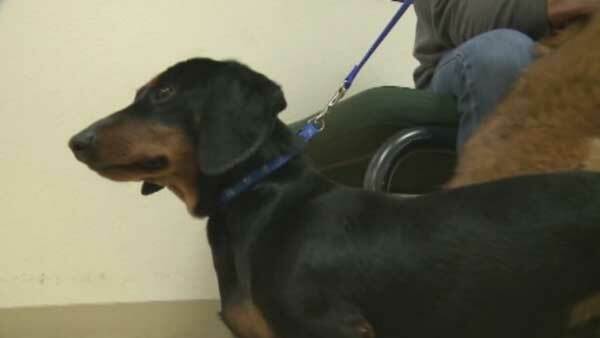 City council members in Belen, New Mexico, honored a little dachshund named Razor Monday night. 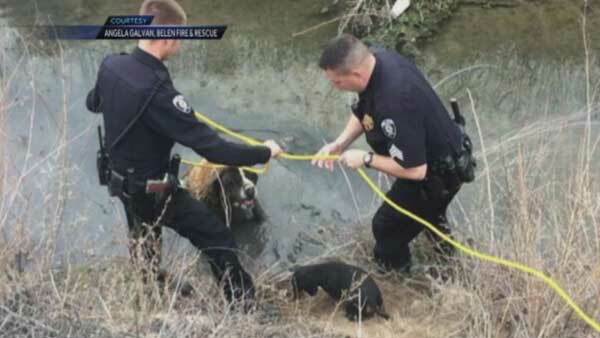 Razor helped save a big St. Bernard named Jazzy, who got stuck in a muddy ditch in February. The dachshund's non-stop barking helped rescue crews find Jazzy. You don't have to be big to be a hero. The St. Bernard had been trapped in the mud for about 18 hours, after running away from home. Thankfully, the dog was not seriously hurt and is doing well. The city gave Razor a medal of honor on Monday. Tim Chavez, who owns both dogs, said he is incredibly proud of his dachshund.